Last night Bono and I watched La Dolce Vita. I think everyone should see it, at least once. "You are the first woman on the first day of creation. You are mother, sister, lover, friend, angel, devil, earth, home." that would be so cool ! i really like the way the 8mm films look. it has tha vintige look to it. I saw Crouching Tiger, Hidden Dragon for what seemed to be the billionth time last week and though I knew how it was going to end, I still cried. I love that movie so much. 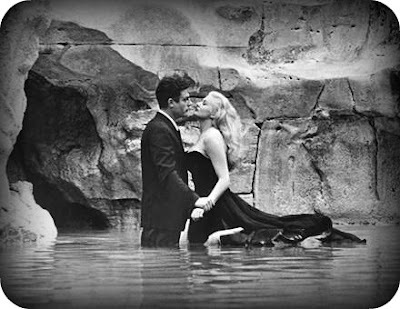 I will look for A Dolce Vita during my next library trip.